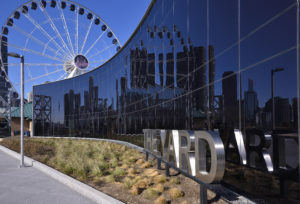 The Yard at Chicago Shakespeare brings a new trend in theater architecture to the city and completes part of the grand plan to transform Navy Pier into a global destination. 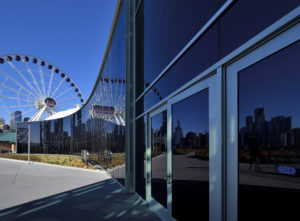 The new theater features captivating views of the skyline and Lake Michigan through curving curtainwall, sweeping storefront and entrance systems from Tubelite Inc. 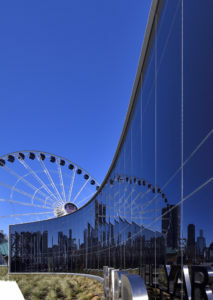 Designed by Chicago’s Adrian Smith + Gordon Gill Architecture, with the British theater consulting firm Charcoalblue, the new, 33,000-square-foot expansion connects to the Chicago Shakespeare Theater’s (CST’s) existing building through a two-level, 170-foot-long glass lobby. The lobby’s curtainwall showcases one of Chicago’s first electrochromic (EC) glazing installations. 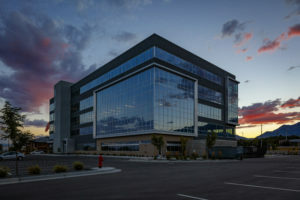 Chicago-based glazing contractor Northern Glass Inc. installed 5,000 square feet of Tubelite’s 400SS Series four-side, structurally glazed, aluminum curtainwall. 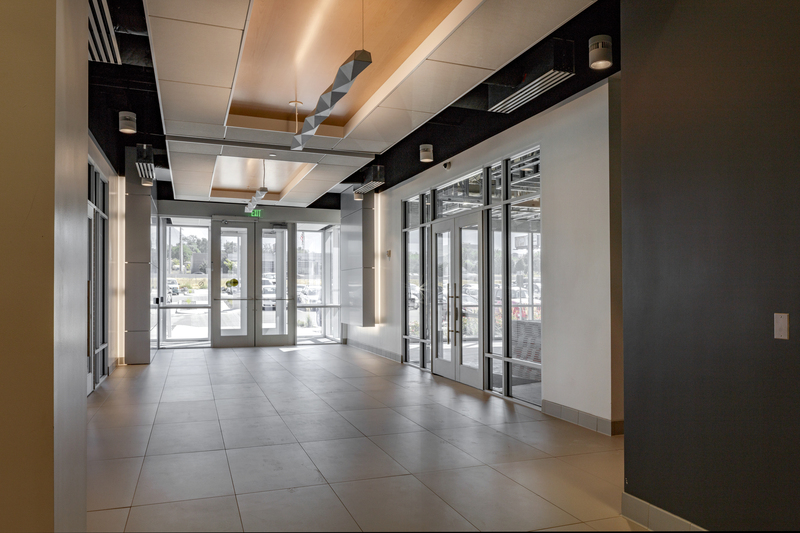 In addition, they used Tubelite’s 400 Series standard curtainwall on the main entrance, and 14000 I/O Series storefront on the vestibule and second floor balcony terrace. 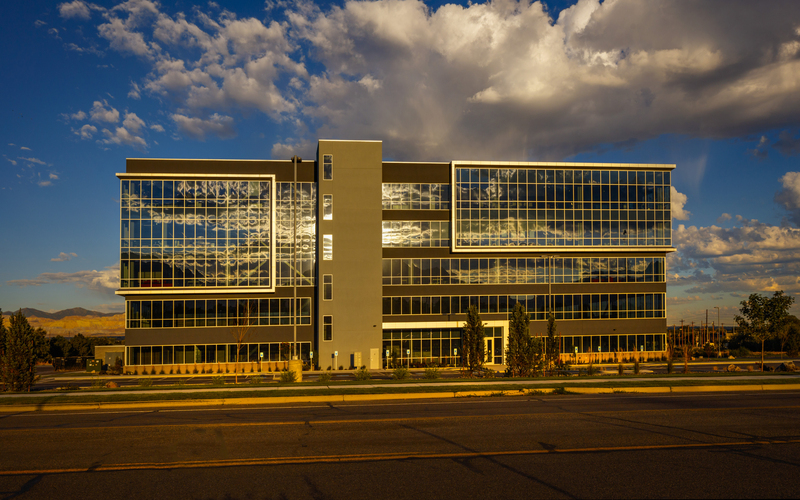 The curtainwall and storefront systems were finished by Linetec in Class I clear anodize. Bone White painted finishes were applied to Tubelite’s Narrow Stile Standard Doors and Medium Stile Therml=Block® Doors. 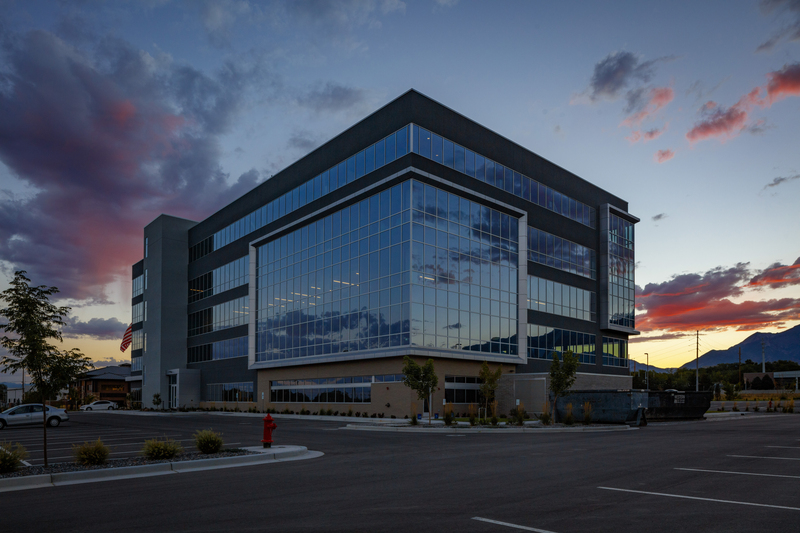 He acknowledges the project “was a tough challenge.” Within the curtainwall’s aluminum framing members are concealed the wires for the EC glazing from SageGlass, plus 2-by-4 steel reinforcing. 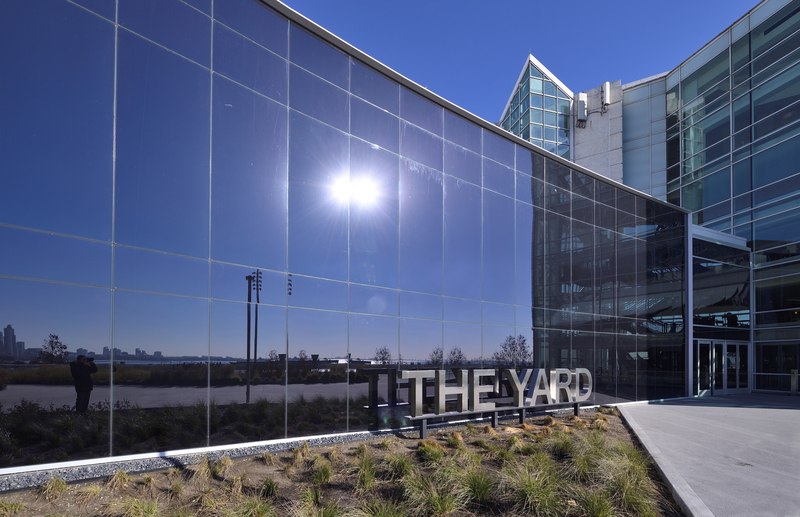 Keeping The Yard’s patrons comfortable in every season, optimizing thermal performance for cold winters and hot summers also contributes to the building’s energy efficiency and condensation resistance. The computer-controlled dynamic EC glass adjusts the opacity depending upon the level of sunlight. This maintains the view, while managing unwanted heat gain and glare. When planning the expansion, CST’s leadership took both an economically and environmentally sustainable approach by deciding to repurpose elements of the underutilized former Skyline Stage on Navy Pier. 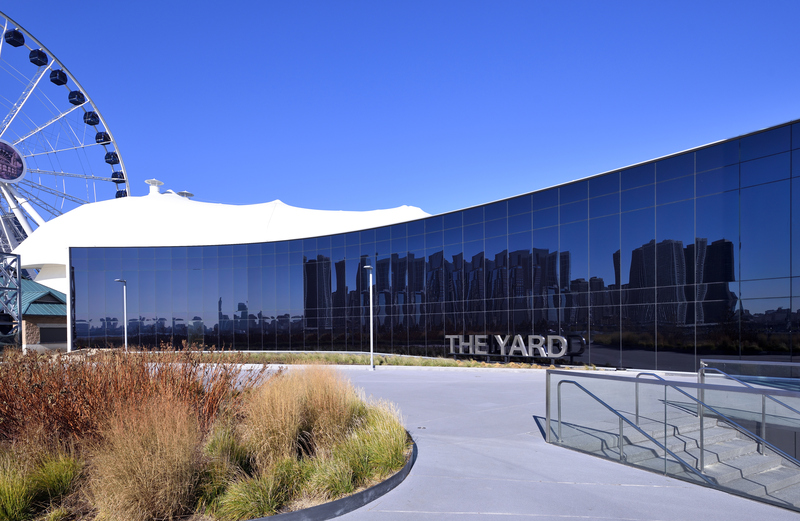 Beneath the existing, signature, white tent, The Yard emerged as a fully enclosed, indoor theater. The decision to employ adaptive reuse in The Yard’s architectural design reduced building costs dramatically, bringing the total cost to $35 million. CST estimates this is far less than half of the projected estimates for entirely new construction. General contractor Bulley & Andrews not only managed the project within budget, but also within schedule. 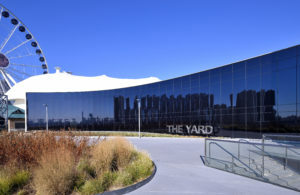 The Yard’s resulting versatility includes an adjustable auditorium that can be reconfigured from a proscenium house to thrust, traverse and in-the-round configurations. Nine four-story-tall moveable seating towers enable the creation of 12 different stage formats seating between 150 and 850 patrons. The theater debuted in Sept. 2017 in its proscenium configuration to accommodate the largest possible audience. 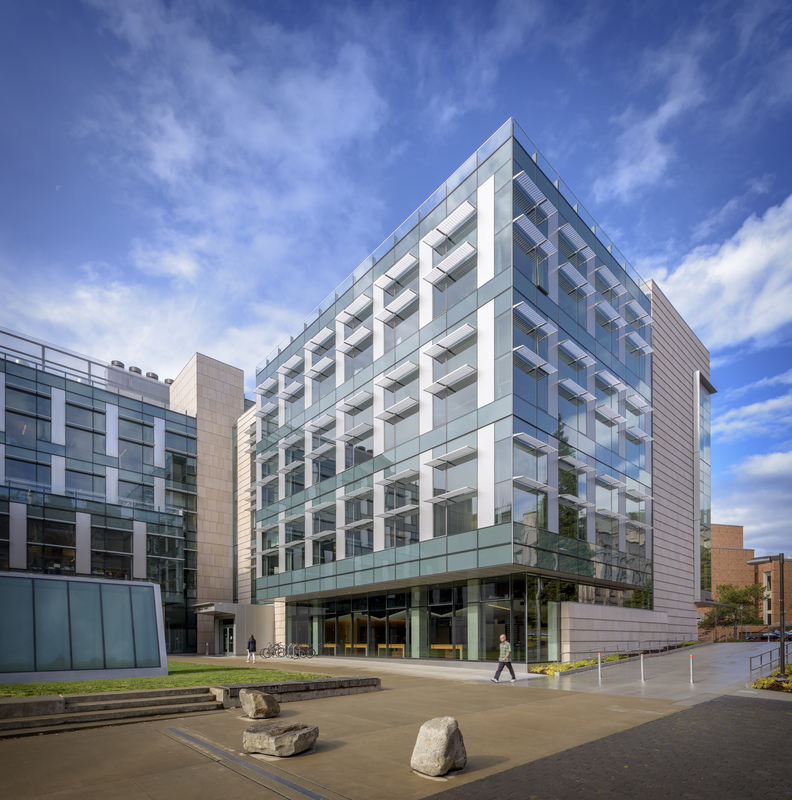 The University of Washington’s newly opened Nano Engineering and Sciences Building (UW NanoES) relies on Tubelite’s Therml=Block® entrances with thermal strut, customized electric security and automatic hardware. 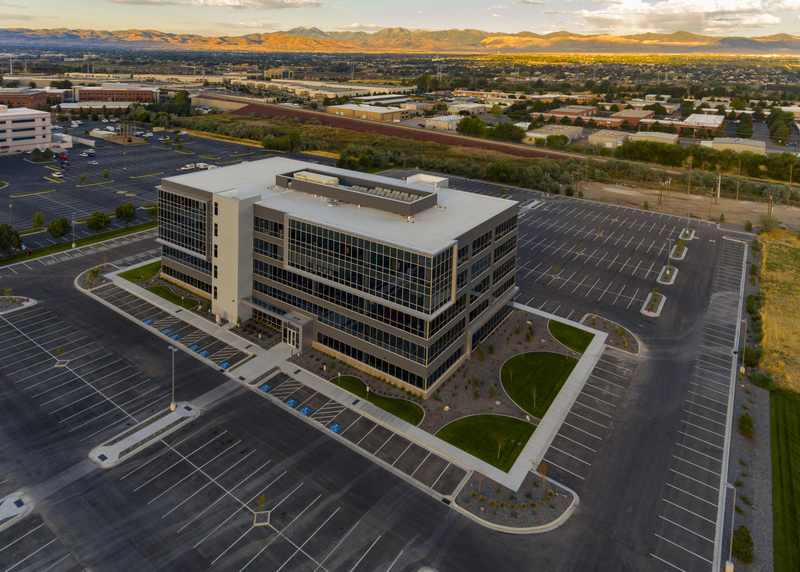 Demonstrating its energy-efficiency and daylight-focused design, the project is pursuing LEED® Silver certification through the U.S. Green Building Council. 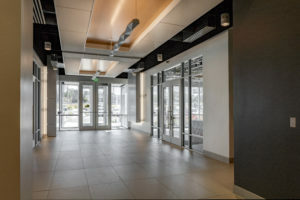 The Seattle offices of Zimmer Gunsul Frasca Architects LLP (ZGF) designed the NanoES as the second phase of a 168,000-square-foot complex located at the center of the UW Seattle-based campus. 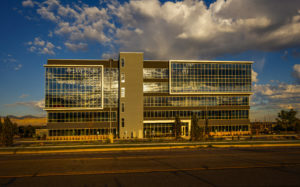 The first phase, the 90,000-square-foot Molecular Engineering and Sciences Building, was completed in 2012. Read more about this project success story in The Architect’s Newspaper. Bucktown, one of Chicago’s trendiest neighborhoods, welcomed a new, high-end apartment complex in May 2017. Centrum Bucktown is a six-story, 100-unit building with a gleaming façade wrapping the corner of North Leavitt Street and North Milwaukee Avenue. Designed by Hirsch Associates and Forum Studio, the project is pursuing LEED® Silver certification through the U.S. Green Building Council. Contributing to the attractive building, as well as its sustainability and performance, Northern Glass installed Tubelite’s Therml=Block® TerraPorte 7600 Series terrace doors and 900RW Series ribbon window, plus Phantom 5000 vents. Tubelite’s 900RW dual poured-and-debridged ribbon window system has been successfully tested per the National Fenestration Council (NFRC) 102-14 procedure, achieving a U-Factor of 0.30 for thermal transmittance. 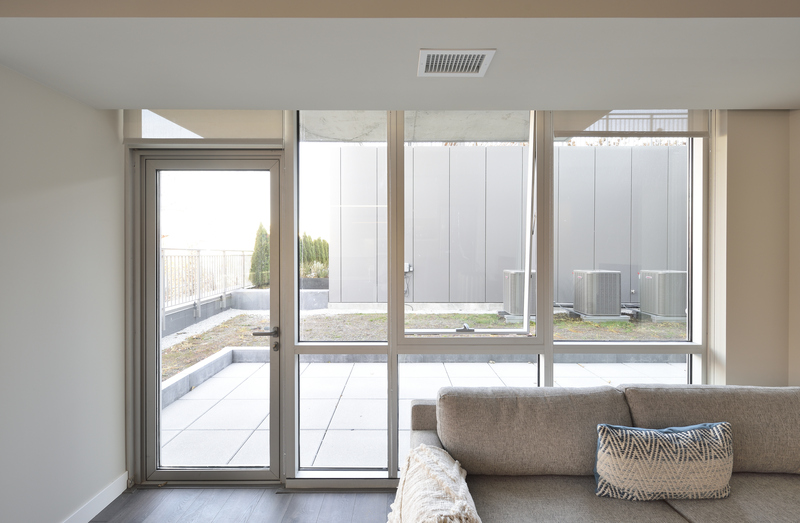 The system also successfully was tested per the American Architectural Manufacturers Association (AAMA) 1503-09 standard, achieving a frame condensation resistance factor (CRFf) of 72. 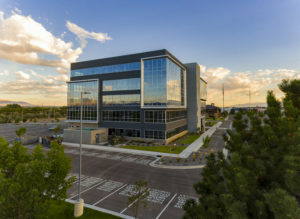 The single and dual thermal break options allow designers to select appropriate thermal performance levels to meet their projects’ requirements. 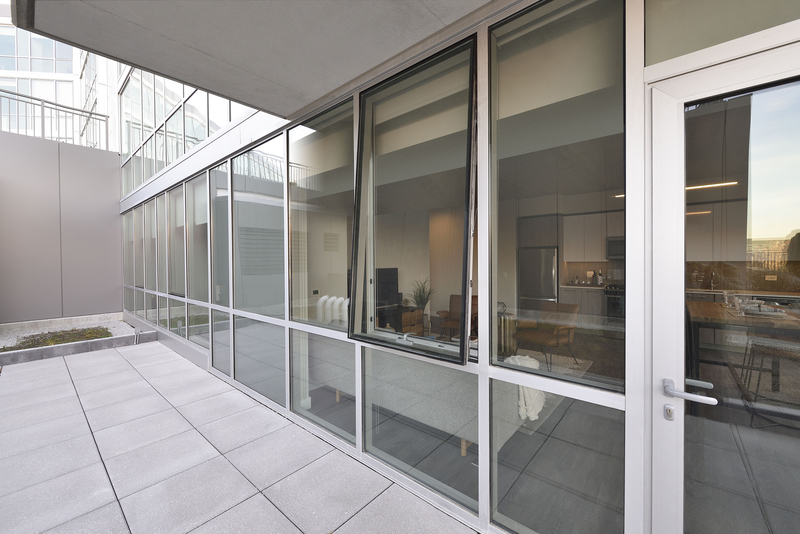 In addition to contributing to energy efficiency, daylight and views, TerraPorte doors and Phantom vents allow for natural ventilation during Chicago’s warmer months. 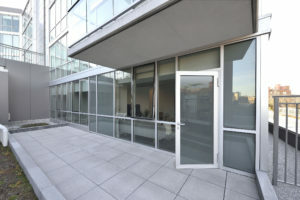 With sizes extending up to 12-feet-tall, TerraPorte 7600 terrace doors achieve AAMA AW-70 Architectural Performance Class requirements, which includes stringent criteria for air, water and structural performance plus AAMA 910-16 lifecycle testing to 4,000 operating cycles, with supplemental thermal cycling. Multi-lock hardware is standard on TerraPorte doors and low-profile accessABLE™ sills may be specified to achieve universal design goals. The doors’ heavy-duty aluminum hinges, along with corner key and crimped construction, provide increased durability for frequent use. Also AAMA AW rated and NFRC tested, Phantom vents’ hinging options allow opening from the bottom or side of the window. 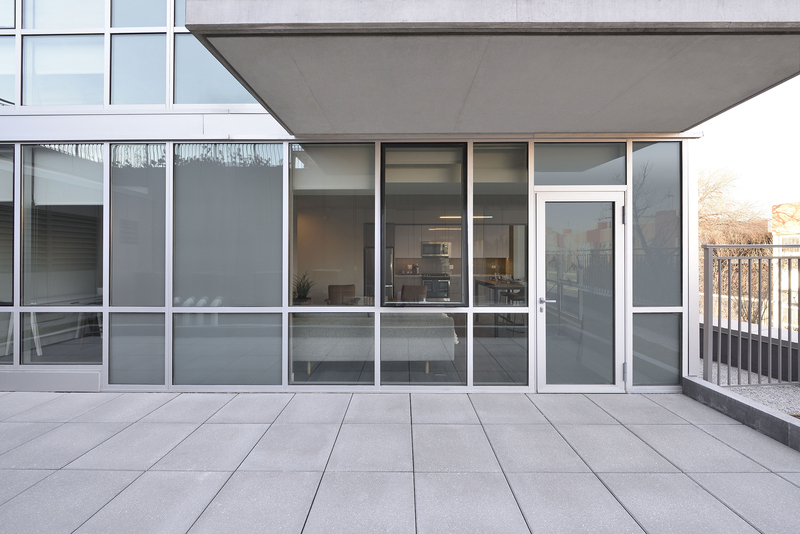 Their concealed aluminum frame design is virtually invisible from a building’s exterior, providing a consistent appearance. 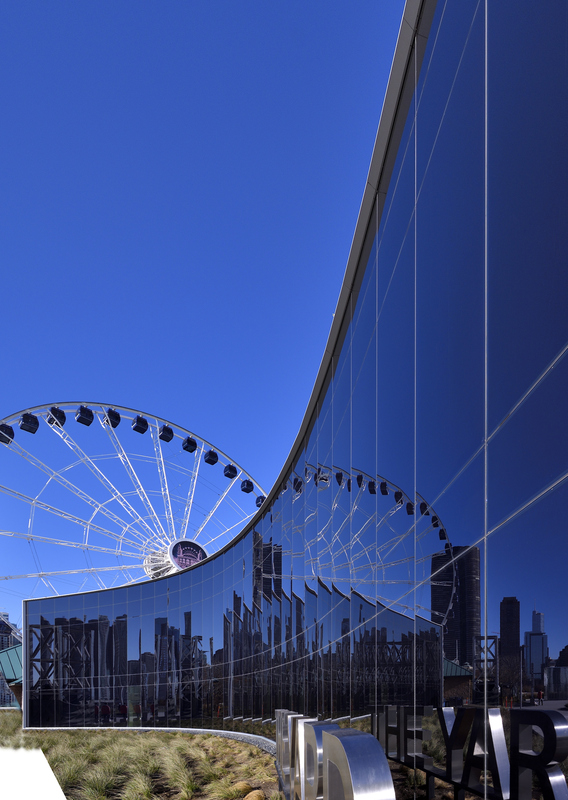 Enhancing this appearance, Linetec provides one the most durable finishes for architectural aluminum products – Class I clear anodize – on all of Tubelite’s systems for Centrum Bucktown. Linetec’s anodize finish also supports environmentally responsible practices and design-forward thinking. It creates a frosty matte appearance, contains no VOCs and meets or exceeds all AAMA 611 specifications. 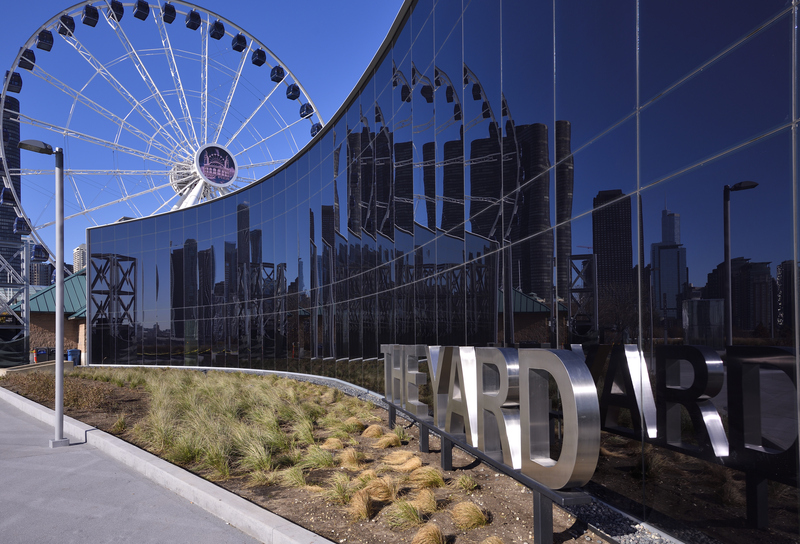 When it is time for the installed architectural product to be removed, anodized aluminum is 100 percent recyclable, lending itself to post-consumer recycled content during demolition or restoration of the building. Tubelite’s products are manufactured to meet the aesthetic, performance and environmental goals of each project. Demonstrating its dependability and partnership, Tubelite’s Damage Free Guarantee ensures orders are delivered undamaged, complete and on time for easy fabrication and installation. Both Phantom vents and TerraPorte doors are engineered for simple integration with Tubelite’s 900RW ribbon windows. 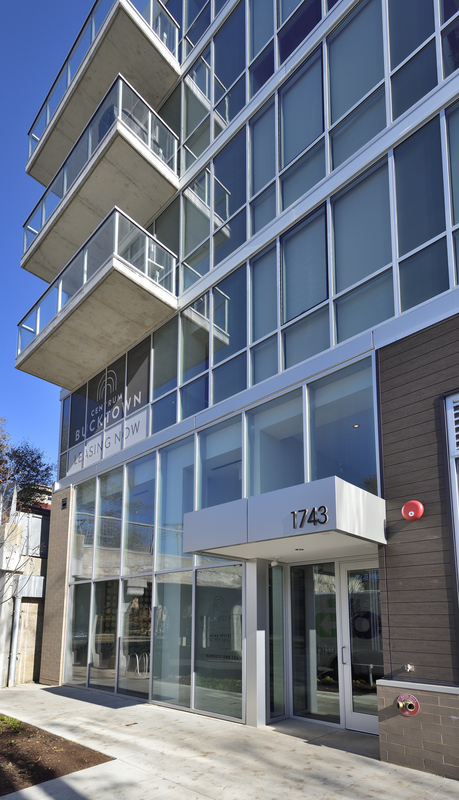 Today, Centrum Bucktown’s daylight-filled apartments are available for lease. 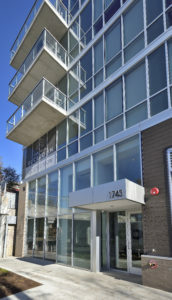 Studio, one-, two- and three bedroom apartments, as well as tenant amenities are on the second through sixth floors. Each features high-end fixtures and finishes, and such shared amenities as a resident lounge, cyber café, fitness center and expansive outdoor terraces. A new, remodeled ALDI store now anchors Centrum Bucktown’s first floor, along with a new location of the Yolk breakfast restaurant chain. Originally known as Centrum 606 due to its proximity to the popular elevated “606” walking and biking trail, Centrum Bucktown provides convenient access to downtown as well as nearby parks, recreation, shops and restaurants. A surface parking lot for retail customers, electric vehicle charging stations and underground parking for residents add convenience for those not already taking advantage of nearby public transportation and pathways. Campus International School (CIS) in Cleveland opened in September for the 2017 academic year. Serving 720 students in grades K-8, the new facility incorporates curtainwall, entrance and storefront systems from Tubelite. 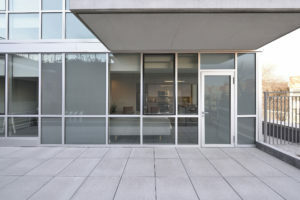 Light and connectivity guided the architectural vision of ThenDesign Architecture (TDA) and Perkins+Will, brought to life in the exterior glass and metal façade and throughout the school’s transparent interiors. 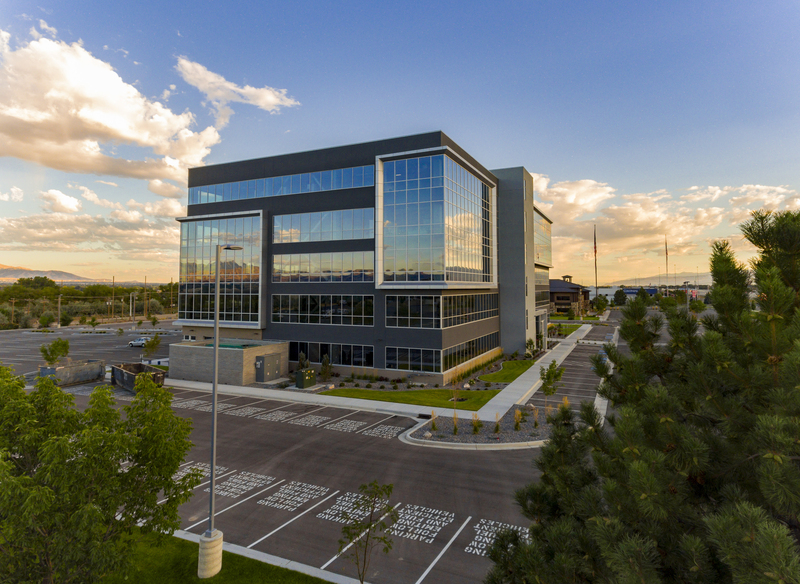 Construction manager ICON, LLC selected Environmental Glass, Inc. as the glazing contractor for CIS. Working on an accelerated schedule, the project began in March 2016 and was completed in August 2017 one month prior to opening. The aluminum framing members of these products were finished in a Black color, 70% PVDF resin-based coating by Linetec. The CIS project success story is featured in the November 2017 issue of PROPERTIES: Northeast Ohio’s Monthly Realty, Construction, and Architecture Magazine. The $24 million dollar, four-story, 93,000-square-foot CIS was constructed on an L-shaped parcel owned by Cleveland State University that previously was used for parking. Today, it provides a permanent home for its students. A four-year expansion plan anticipates adding a new grade each year through grade 12. Developed as a public school partnership between the Cleveland Metropolitan School District and Cleveland State University, CIS is an International Baccalaureate Primary Years Programme World School and a candidate for the Middle Years Programme. Starting in kindergarten, students receive an international education that includes Mandarin as a second language.